Kristen's Awesome Wedding Toast at Riveview Country Club! 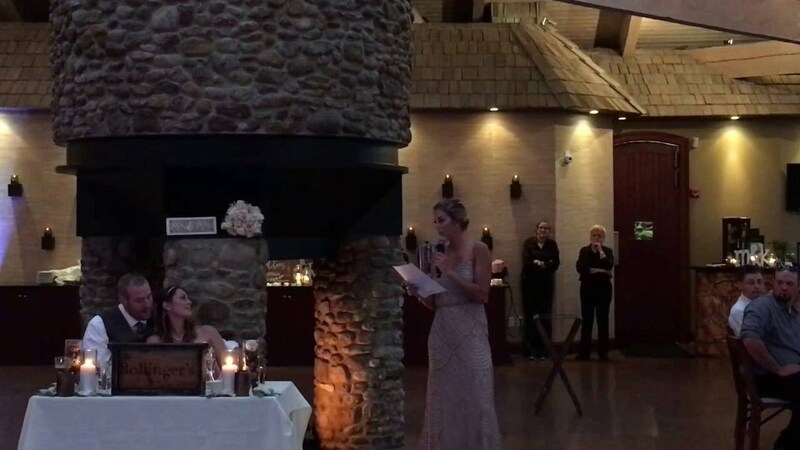 What a great personalized wedding toast Kristen did for Kaitlin and Michael at their wedding reception at Riverview Country Club in Easton, PA.
"Thank you again for making our 6th annual New Year's Eve party such a huge success! Another great big thank you for entertaining our staff for a little bit after hours too! Let's make 2011 great! Thanks again."